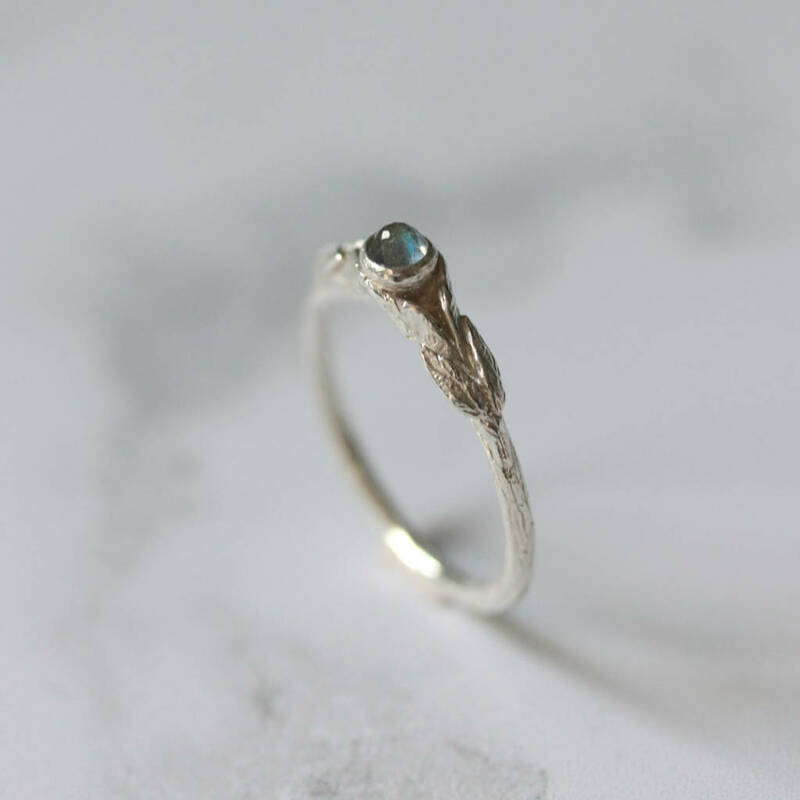 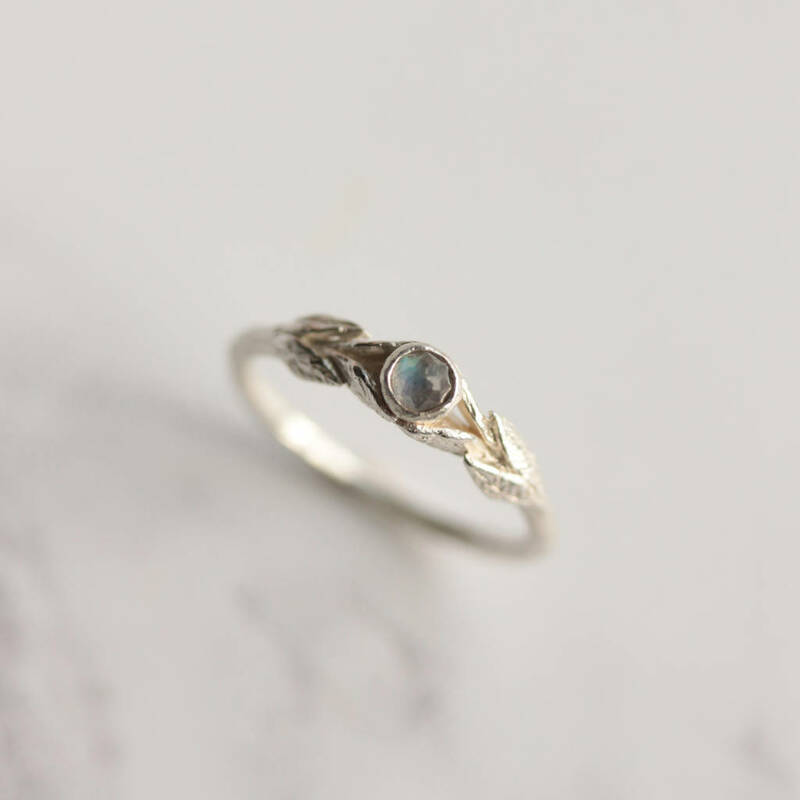 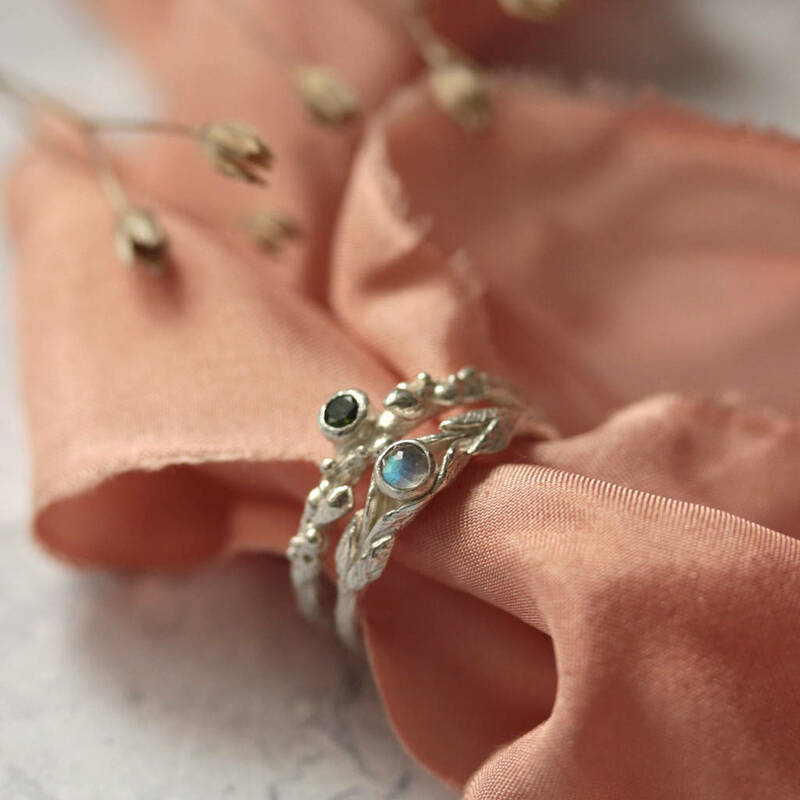 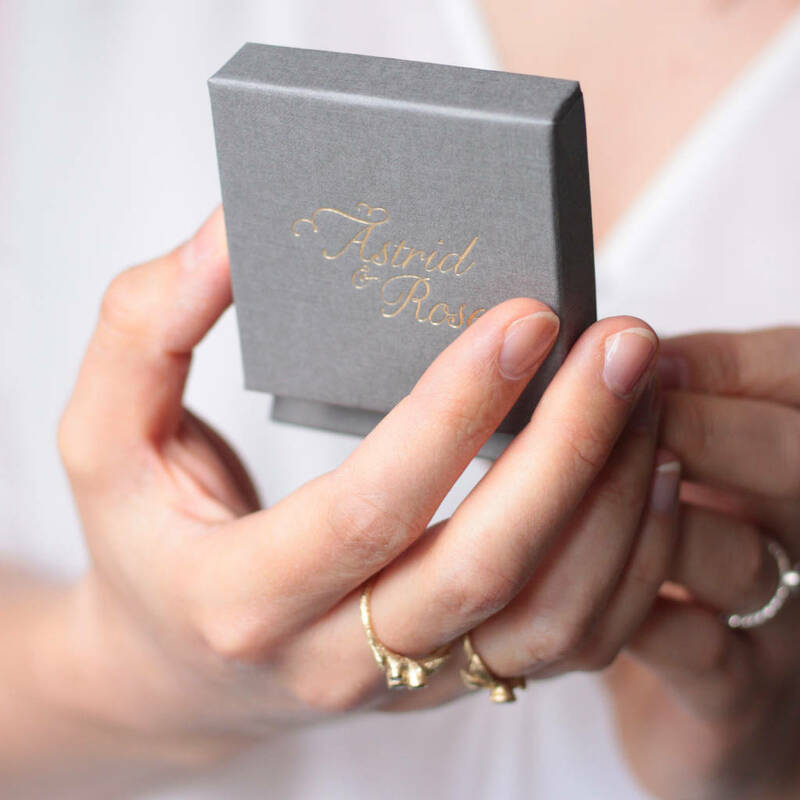 An exquisite hand carved ring inspired by the woodlands, set with a labradorite depicting a shimmering dewdrop. 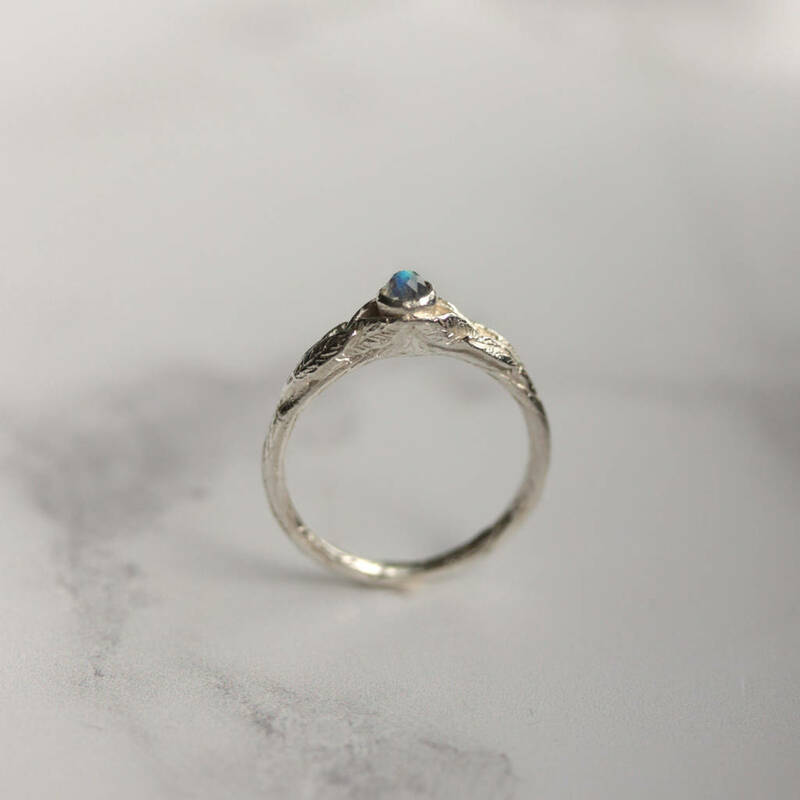 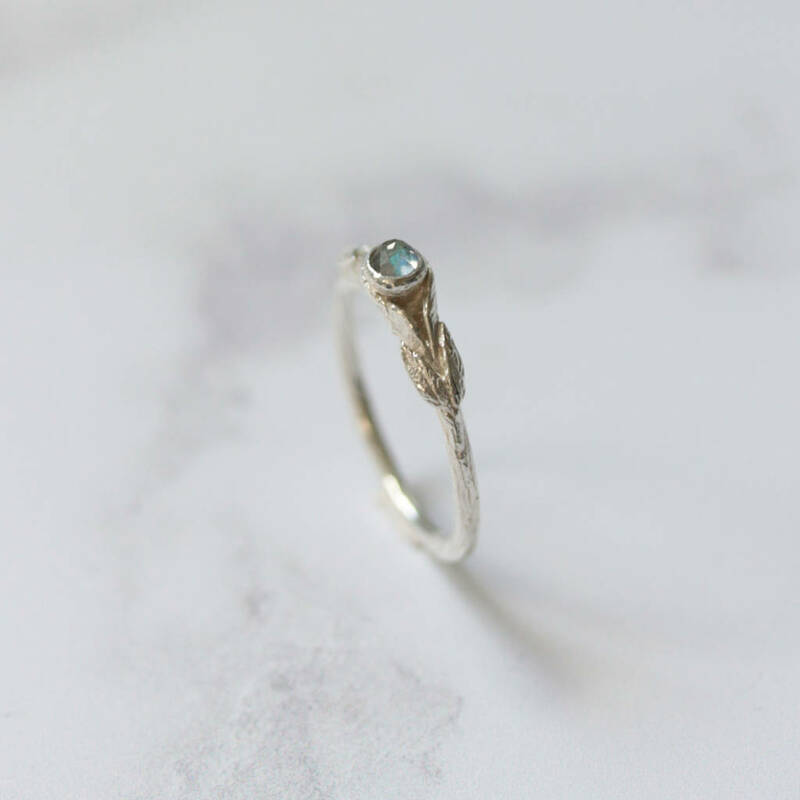 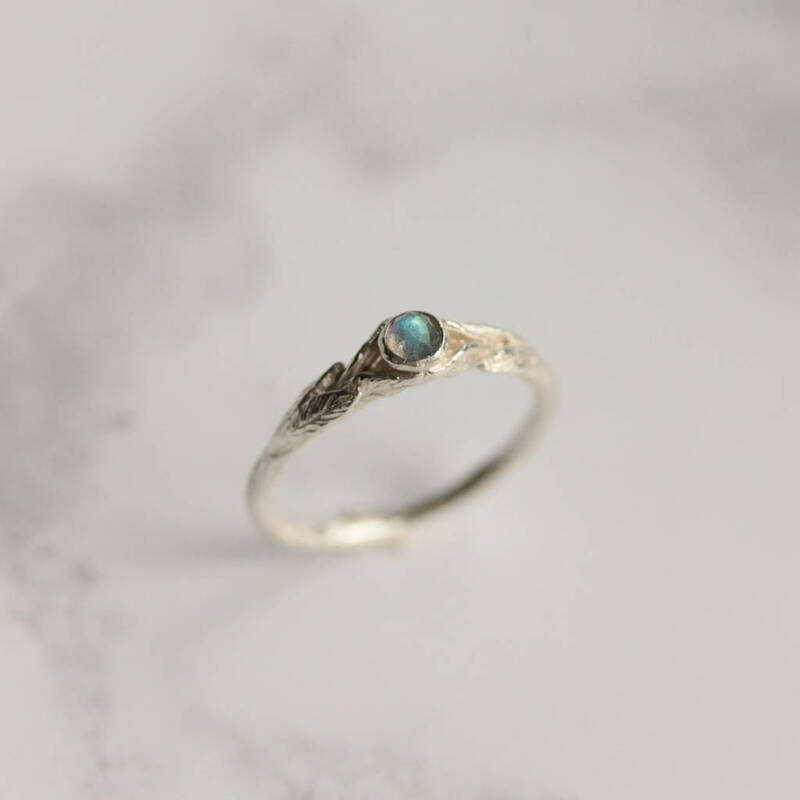 This ring was originally hand carved in jeweller's wax, and then cast in sterling silver using the ancient lost wax casting technique. 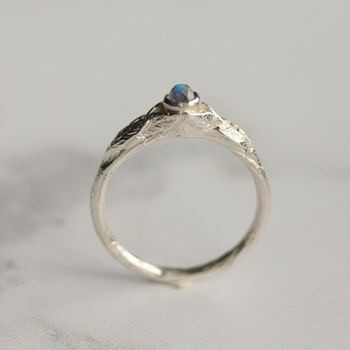 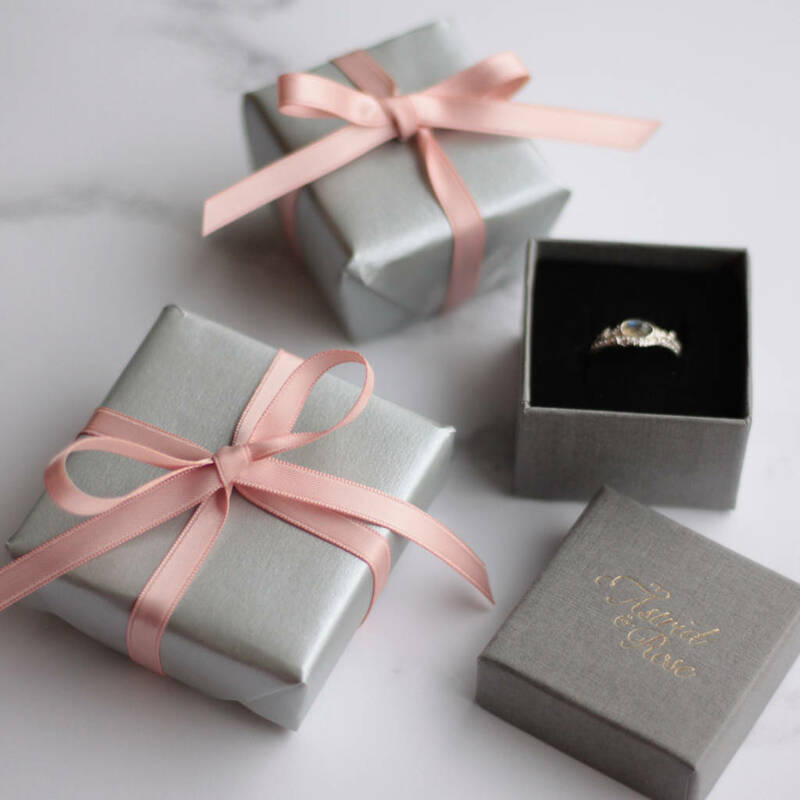 Please allow 2-3 weeks processing time, as this ring is made to order.